Amy Berg’s West of Memphis sets out to be the definitive account of a case that has lingered in the public psyche for close to a quarter of a century. An introduction by Peter Jackson (the film’s producer and major player) explains that this story has taken millions of dollars to open up and years of time, from some of the world’s biggest names, to help overturn. Even going so far as to denounce the three previous documentaries about the subject (Paradise Lost trilogy), Berg’s film purports to be as unbiased a procedural as can be made on the divisive topic. With this straight-forward approach comes a lack of emotion and heart-tugging that might otherwise be a relief, but here feels mildly off-putting. “Compassion” is the most important word in nonfiction storytelling. Helming an agenda-driven project, Berg understandably sides with the boys who have been wrongfully accused. Always a risk in projects that set out to exonerate people, there’s a troubling lack of compassion for those who have also suffered. Maybe not entirely the fault of the director, the battered town and those who have lost their children feel either strangely absent or like backwater caricatures who aren’t afforded a fair gaze from Berg’s lens. For instance, John Mark Byers – a man who was implicated by the previous documentaries – endured years of being falsely hung out as the murderer of his stepson without any fair shake in public opinion. While scratching him from the list of suspects, never in the three hour picture does Berg spend time showing how the effects of this time undoubtedly eviscerated this man’s life as he once knew it. While tender to certain subjects (the sister of one of the murdered boys being the most interesting), West of Memphis turns away from others. The mother of that same boy (the only one we actually spend significant time with) feels particularly judged. Most of the running time is focused on Damien Echols, the man who sat on death row and whose loving wife spearheaded the investigation with the filmmaking team. 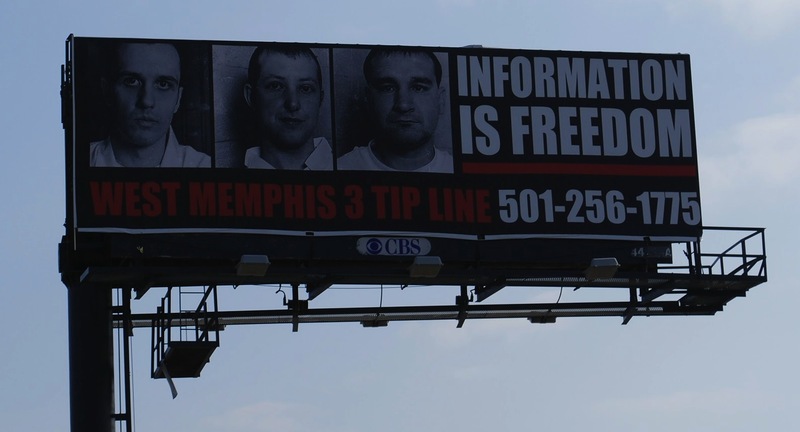 Like The Central Park Five, the film to which it will inevitably be compared, West of Memphis takes on the nature of media accountability and unhealthy exposure for a captivating crime. The aftermath has not been as nice for the forgotten Central Park boys as it has been for the Memphis Three whose lives at least benefited from a partial media machine. With the passion of cause crusaders and celebrities, fame and string-pulling effectively changed the face of this trial. However, there’s a thread of racial divide and education differences that sadly comes into play, even if painstakingly avoided by Berg, throughout West of Memphis. Echols is the dark, well spoken, and opinionated one who draws the eye of people like Eddie Vedder and Henry Rollins who see themselves, as anti-totalitarian figureheads, in the young man. You can’t help but wonder if this case would have been lost if Echols hadn’t been so charismatic. Additionally, there’s the feeling of geographical bias which comes from liberal artists storming into Arkansas and painting a picture from their privileged perspectives. Jackson explicitly indicts Arkansas’ justice system and, I have to assume, their ill-informed citizenship, in his opening introduction (something I very much hope they remove from the theatrical release). Similar to those on the periphery of the case, little time is spent with Jeffrey Misskelley and Jason Baldwin – the two other convicted men. Berg has explained that due to legal counsel, the three men were given different access rights. From a storytelling perspective, these absences hamstring the emotional core and contribute to the strange feeling that something is being left out of what’s supposedly an objective portrayal. 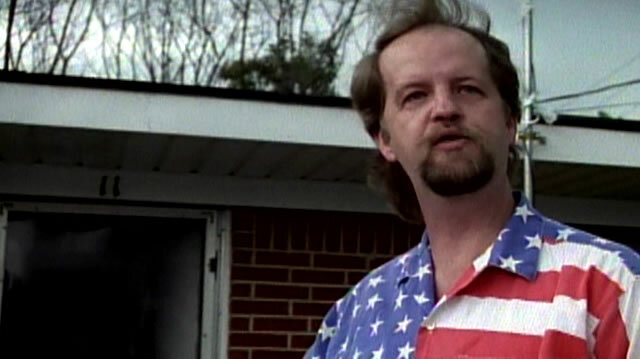 What’s the purpose of another documentary about a subject we’ve all endured many times? One wouldn’t be wrong in wondering if it has something to do with Peter Jackson et al. wanting to put the story of how they helped on screens across America. I’m not ready to concede this as only a fame-based excursion, but Berg’s insistence on putting her celebrities front and center with a limited candid look at many of the most important players in the case, feels conspicuously self-aggrandizing. That said, the film is intent on being thorough in its journalistic base-covering, something that comes as pleasant surprise considering all the bias that simmers underneath. Berg tries mightily to remain nonpartisan even if that’s clearly impossible. This entry was posted in Central Park Five, Documentary, Films, Movies, Reviews, Uncategorized, West of Memphis and tagged Amy Berg, cinema, Damien Echols, documentary, Eddie Vedder, Films, Henry Rollins, Jason Baldwin, Jeffrey Misskelley, Ken Burns, Nonfiction, oscars, Paradise Lost, Peter Jackson, The Central Park Five, West of Memphis. Bookmark the permalink. Thanks! This one’s definitely worth catching when it hits theaters. I find this story fascinating. Thanks for the review! This film is inclusive and keeps the story intriguing. It’s only shortcoming is that it’s impossible to tell every side.